Senate Bill 949 (SB949) has received Senate approval and will be heard this Monday, May 14 at 2 pm by the House Rules Committee in House Hearing Room 1. Please take a moment to review SB949 here, which establishes appropriate reading interventions for students K-3 with dyslexia and reading difficulties., and then take action by letting Committee members know we need their support! Please let your representative know how crucial appropriate reading instruction is for dyslexic children and how this legislation would positively influence all children struggling with literacy in public schools. We cannot over-emphasize how important your calls/emails will be in the forward movement of this bill and future passage. Please take a moment today to show your support for appropriate interventions for students with dyslexia! I am writing today to ask for your support of SB949 that will be heard in the House Rules Committee on Monday at 2 pm. This bill will require schools to provide the scientifically evidenced-based reading programs that help children with dyslexia learn to read. My child has struggled…(include a short personal story). That is why I feel that not only my child but every child who struggles with dyslexia would benefit with the passage of SB949. I respectfully ask for your support of this bill! Please join us on Wednesday, January 18th, 2017 for the second annual Decoding Dyslexia MO “Hill Day”! Below is the itinerary with planned events and opportunities for you to meet your legislators and other DD-MO Members from around the State. If you are able to attend this event, be sure to RSVP to jedwards@decodingdyslexia-mo.org so that we will be able to provide you with name tags, a luncheon, and other information/items for this event. One week prior to the event – Make appointments to meet with your Legislators to meet in their office. You can find contact information for your House Representative here and your Senator here. Appointments are not necessary but, if you would feel more comfortable by scheduling an appointment then please do so. Please note: Session and hearing times may not be determined prior to this date and offices may not be scheduling appointments. 9 am – 12 pm and 1 pm – 4 pm Rotunda Table Hours — Our tables will be located on the third floor rotunda area on the House side. Check in and collect name tags and other items for yourself and members of your family before heading off to meet your Legislators. (We will be distributing “Talking Points” about important information to discuss in advance via email or on our Facebook pages that you can print at home for your use when speaking with your Legislators.) DDMO Leaders from around the State will be on hand to answer questions and provide encouragement. 12 pm – 1 pm DDMO Member Luncheon. Join us in House of Representatives Hearing Room #6 to meet and socialize with other DDMO members from around the State. There will be members of the legislature, Legislative Task Force on Dyslexia members and DDMO members on hand. We will have a brief Powerpoint presentation to update you on all of the current activities of DDMO across the state. Optional Tour of The Capitol. If you would like to take a quick tour of the Capital while you are there, you can stop by the tour desk on the first floor of the Capital. They last approximately 45 minutes. More information can be found here. You can also peruse the Missouri State Museum also found on the first floor, with our without a tour guide. 4pm – Safe Travels Home! Hopefully, you will be enjoying a safe and relaxing ride back home knowing that you have participated in creating new and meaningful legislation for the dyslexic students in our State! We look forward to seeing you in Jefferson City! Representative Burlison, Representative Wood, and Senator Sifton have been working hard on behalf of kids with dyslexia in Jefferson City. Representative Burlison introduced HB921 and Senator Sifton introduced SB548 that creates the “Legislative Task Force on Dyslexia” and requires the Department of Elementary and Secondary Education to employ a dyslexia specialist and develop professional development programs for schools. Representative Wood and Senator Sifton introduced HB731 and SB468 that requires each public school to test students for dyslexia and related disorders and provide treatment. Thank you Representative Burlison, Representative Wood, and Senator Sifton! Great news for Missouri families- Governor Nixon signed HB1614! HB1614 adds dyslexia to Bryce’s Law. Bryce’s Law establishes a scholarship fund for students whose needs aren’t being met by public schools. 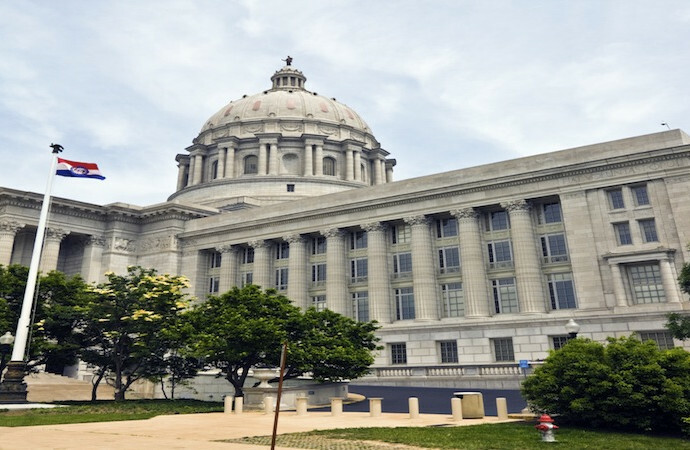 Under Bryce’s law, the Missouri Department of Elementary and Secondary Education (DESE) will be required to oversee the establishment of a scholarship fund and will also approve and monitor scholarship-granting organizations in the State. DESE will also be required to set up a website with a list of resources for parents. Regulations will be written over the next year so students can benefit as soon as the 2015-2016 school year. Adequate scholarships will require donations, so please think about whether or not your family or perhaps your employer can make a gift to one of the scholarship funds. Details about how to donate will be available by the 2015-2016 school year. Details about how children with dyslexia can apply for scholarships will be available then, too. Great news for Missouri families! Senator Scott Sifton sponsored Senate Bill 984 that will define “Dyslexia” in the State Code and also require the Department of Education to hire a dyslexia specialist to oversee professional development and the creation of a Dyslexia Resource Guide. This is an important first step for Missouri families that have a child struggling with a diagnosis of dyslexia. Please let Senator Sifton know that you appreciate his work on this important bill. You can click here to email him directly. Share you enthusiasm about this bill with your local legislator, too. Click here to find your local legislator. Your Senatorial district will be listed first. Click on your legislator’s name and a link to their email can be found on the left hand side of their home page. Our family has faced many challenges as a result of our child’s diagnosis of dyslexia. Our greatest challenge, however, has been trying to get our child the services they need in a public school setting. Thank you for sponsoring Senate Bill 984. Thank you for sponsoring Senate Bill 984. Your work on this issue will raise the awareness needed to bring about change for kids with dyslexia in Missouri. Our family has faced many challenges as a result of our child’s diagnosis of dyslexia. Our greatest challenge, however, has been trying to get our child the services they need in a public school setting. Please support Senate Bill 984 which defines “Dyslexia” and requires the Department of Education to hire a Dyslexia Specialist to oversee professional development and the creation of a Dyslexia Resource Guide. These changes are needed to ensure children with dyslexia are better served in public schools. Please support Senate Bill 984. Children with dyslexia are not adequately served by Missorui public schools. Great news for Missouri families dealing with dyslexia! Representative Eric Burlison was able to add dyslexia to the special needs section of House Bill 1614 (known as “Bryce’s Law”). This could provide much needed financial relief for some MO families, and it definitely raises the awareness of dyslexia at the state level. If you would like to follow the progress of this bill, register at Legiscan for updates and bill tracking information. Senator Scott Rupp is considering sponsoring legislation in the Senate supporting people with dyslexia. Senator Rupp is on the Senate Education Committee and it is critical that we have his support. Please send Senator Rupp an email asking him to sponsor or co-sponsor bills aligned with Decoding Dyslexia-MO’s Goals (see Our Goals on our website). 1. Click Here for Senator Rupp’s website. 2. Click on “email” on the left hand side of the page or follow this link directly. 3. Enter your contact information, including your nine-digit zip code. 4. If you don’t know your nine-digit zip code, look up you zip code at the US Postal Service. 5. Copy and paste the sample email below, add your personal statement and send! 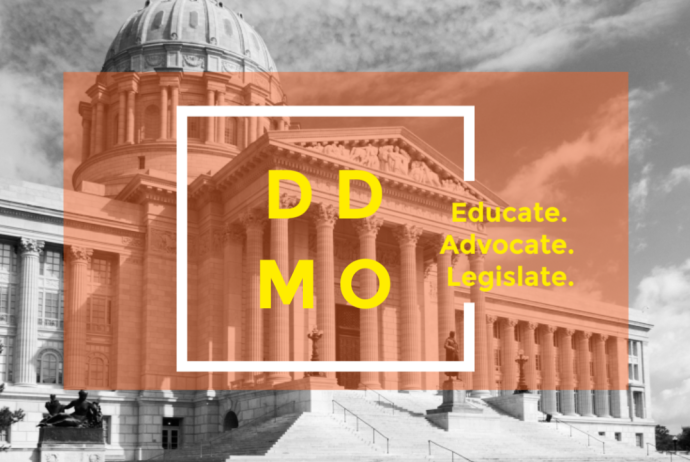 As a member of Decoding Dyslexia-MO, I am writing to ask that you consider sponsoring legislation that would help Missouri children with dyslexia. There is much work to be done in raising awareness about dyslexia and making policy changes that create opportunity for all dyslexics and remove barriers to success. I urge you to sponsor or co-sponsor legislation that would support children with dyslexia and their families.